We usually travel on Royal Caribbean but are traveling on NCL in 2 months. Are the perks better on NCL or on Royal if we're just doing the 1 cruise on NCL? We have not cruised on Royal Caribbean but have on NCL many times. If you are comped on NCL they will have a special Casino at Sea registration area which expedites things. You will have drink cards for free drinks in the casino. They can be used at the casino bar or on the floor. They usually send flowers, champagne and other treats to our cabin. Points earned while playing can be used against charges incurred on your ship account. Other perks could be offered by host depending on level of play. I have cruised NCL 7 times - love them. We just tried Royal Caribbean in May 2018 via an MGM offer. RC doesn't offer any perks or free drinks while playing and you can't even earn it while on the cruise. I play about $5000 per cruise. The odds on the Craps table are horrible at 1x odds, worst ever. And then they have ridiculous rules about the dices cannot bet set, you can't throw the dice higher that the 2 feet above the table and both dice have to hit the back wall or it is a "no roll". The casino crew had very bad attitudes because RC just put these new rules in place and everyone was upset about them. Never again - we are going back to NCL. I got kicked out of RC Casino for not throwing both dice off back wall. They called no throw and made me rethrow when one did not go off back. The next throw, one went off the other not and I threw a 7. They said I crapped out. I said if my first throw was a nothrow, the second should be also. Manager told me to get the hell out of his casino. I appealed to his boss, the hotel manager. He agreed with me and awRded me $100 in casino Money which I converted into $300 real chips. At the airport after departing the cruise, I saw the manager with his bags. Found out he was being replaced. I play on Royal Caribbean's Club Royal and Carnival's Players Club and here are the differences as i see it. On RCCL's Club Royal, there are different levels of play, I am currently at Signature level, one level below the top tier and I get,one free cruise balcony per year April 1st through March 31st, cumulative based upon number of cruises and amount of play; free drinks in the casino while playing; dependent upon the level of play, points earned on slots and time and betting amount of bets on the tables, you get dollars off from $100 up to $500 or a free interior or oceanview or balcony room which needs to be booked within 30 days fo the cruise your are on. I travel solo on the short cruises and I get double nights credit, plus my wife's account is linked and she get's double nights too. This propelled us from platinum to Diamond Plus in 15 months. The Diamond Plus gives you access to their Diamond Club which offers free cocktails/drinks from 4 0 pm to 8:00 pm daily and / or three free drinks at any bar on the ship during the same time period. Relative to earning points, on slot point for every $5 run through the machines. For a free interior room it requires 2,400 points, for a ocean view room it requires 3,600 points and for a balcony it requires 4,800 points. The table play is dependent upon the time at the tables and amount of dollars bet and the Casino Host has to convert the table play/time to dollars and I have not been able to pry out any information as to how they calculate that to slot points for you to reach the 2,400,3,600 and 4,800 levels. 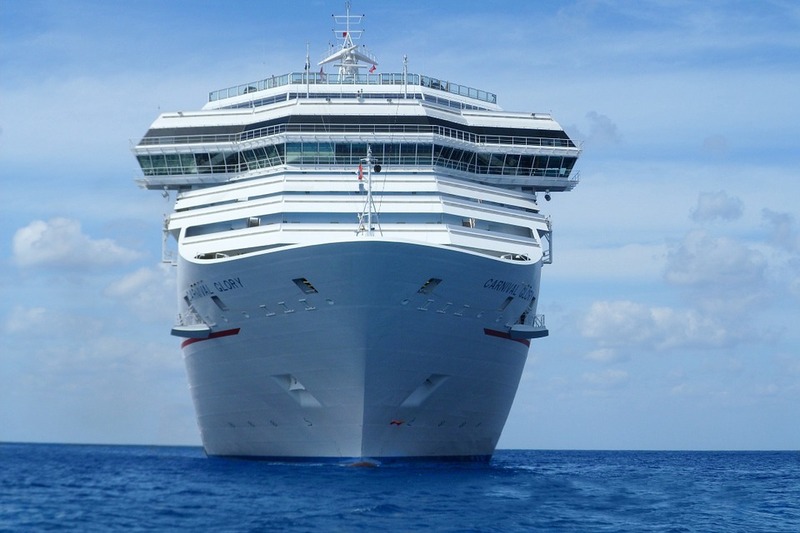 On Carnival Cruise lines, it advertises up to $500 off your room rate for casino offers, but that is not true, if you compare the cost of rooms, with what is offered on Cruises.com, the amount of savings is about $90, unless you are offered a free cruise dependent upon the level of play. The Carnival Players club also offers "Casino Cash" up to $1,000 dependent upon the level of play, BUT, you better bring a copy of the original advertising offer, because if you don't have any documentation that of the offer, they will offer you a reduced amount. On my last cruise on Carnival Pride, August 5 through August 12, 2018, my offer was a free cruise for the seven days and $300 casino cash back and when I went to collect my $300, they had it listed as only $150. Fortunately I had copied the original email offer so I had it documented at $300, she took a camera photo of my original offer and had to email the Players Club HQ, and a day later I did get my $300 "Casino Cash" Carnival only offers its free drinks on its "Premier' casino cruises, so if you are a lower tier player you have to "earn" your "Drinks on Us" card which now requires 1500 points earned (it used to be 1000 points). On this past cruise, I spent sea days in the casino slots and table play for three days and evening for about four hours on port days, and I got an offer of a 5 day cruise for $100 on "select" sails and $100 on board credit, NO "Drinks on Us" card, NO "Casino Cash"
So if you compare the combined RCCL's Crown and Anchor and Club Royale benefits with the Carnival Cruise lines VIFP and casino Players Club overall, the Royal Caribbean Cruise Lines OVERALL offers a better deal. But that is a decision that each individual has to make, food is a little better on RCCL, but but cruise lines has streamlined and reduced it menu offerings. ADDENDUM to above, I neglected to mention for the RCCL Club Royale, at the Signature level, I also receive free internet for the entire cruise, that's about $20 a day and for the Crown and Anchor Diamond Plus level, they also include a bag of laundry free, normally a $35 charge for 3-5 day cruises and two bags of laundry free on seven day cruises. Hi there ,may want try Celebrity. We sail 6 times with them and spend around 5000$ each time on casinos. They offered us Royal suit last year on 12 days southern Caribbean and same thing this year Oct 4 .Casino are small but paying better then carnival,Royal .